We are pleased to announce that a hefty percentage of all after-tax profits earned by Bocci's Beefs are donated to no-kill animal shelters and other non-profit, pet-related causes that are chosen by either our readers or the authors of Bocci's Beefs. 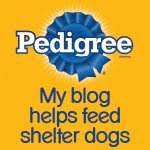 Pedigree has already donated a generous $1000 on behalf of Bocci's Beefs to one of our favorite local rescues, the Columbus Dog Connection. Check out this post that details are visit, where you can get a close up look at the fabulous work this non-profit does every day to help animals in need. We're so proud of this donation! It went directly to support their spay neuter bus that travels to rural areas of Ohio. We also have pledged to donate 50% of the after-tax profits from our planned book on rescued dogs to non-profit, no-kill shelters. 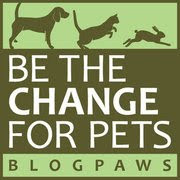 See details here: boccibeefs.blogspot.com/p/your-rescue-stories.html), We'd love to have your dog rescue stories!